Every year that I taught ninth grade, I saved the best for last: Romeo & Juliet by William Shakespeare. And every year, my students told me that it was their favorite thing we did all year. While this might be because my students were suffering from long term memory loss (ha!) or because they thought everything I taught was wonderful (double ha! ), I like to think it's because of my approach to teaching the play. In this series of blog posts, I'll break down how I teach each act of the play, beginning with how I introduce the drama to students. As with any new text, especially one you know will be difficult for students, hooking them from the start is key. I usually began teaching Romeo & Juliet during the second half of April, right around the time of Shakespeare's birth and death day. Students read a short biography of the Bard and then create a timeline of his life. The fact that he possibly died on his birthday always fascinates them, that and his marriage to an older woman. If I'm feeling festive, we'll don party hats and have birthday cake. The sure way to a teenager's heart is through food. If I'm feeling less festive, the students will make tombstones for Shakespeare with five reasons why he'll be missed and we'll read them at his "funeral." It's fascinating to think that the English we speak today is nothing like it's original form. I love to show students how much the language has changed over time and discuss the reasons for this change. I begin by showing students an Old English version of the Lord's Prayer and ask them to read it. We discuss similarities and differences to Modern English, but I won't tell them what it is or what it says. I give one or two students a chance to read it, then I play an audio version of it. I do the same with a Middle English version of the same text. It is likely that students will start to recognize what it says, but we still discuss similarities and differences. When I show them a modern version of the text, I explain that I'm not trying to convert them; the Bible is one of the few texts that has been around as long as the English language. It's also fun to look at some of the words that Shakespeare invented that are now a part of everyday conversations. Have students check out the suggestions for new words to be added to the dictionary and create their own submissions. Oxford Dictionaries has a short video that explains the process for adding new words that you can share with students. In Shakespeare's time, audiences knew the general plot of his plays, but still attended performances to see what twists and surprises he would throw in. 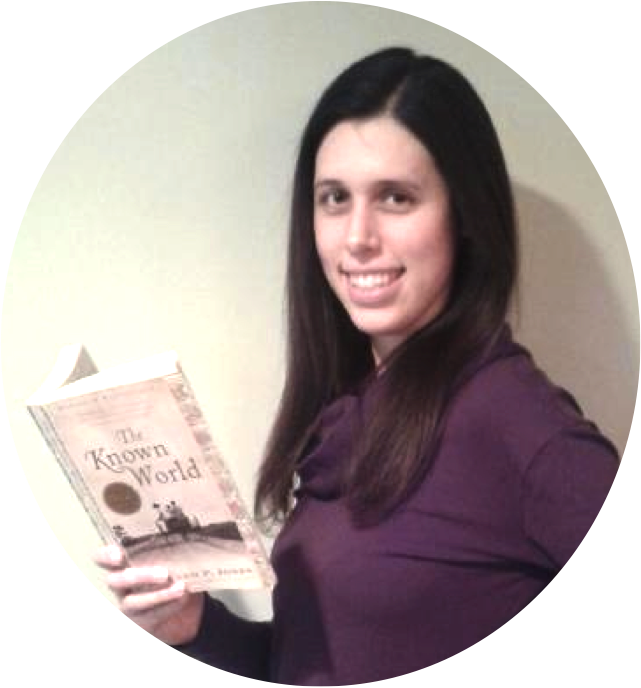 I find that having a general understanding of the plot helps students to push through reading the play even when the language is a challenge for them. I introduce the tragedy cycle and then students make predictions about the events in Romeo and Juliet based on a reading of the prologue. To get students acquainted with the characters in the play and to practice pronouncing their names, we play a guessing game of "Who Am I?". I give students a list of the characters with a brief description, i.e. Romeo, son of Lord and Lady Montague. Students read aloud character descriptions from the "Who Am I?" cards and the other students must try to guess which character is being described. Romeo's card might say something like: "I'm moping about because I'm in love with a girl who doesn't love me back. My parents are worried about me and my cousin Benvolio and friend Mercutio hope to cheer me up by dragging me off to some party." The background information and character relationships shared on the cards will give students an understanding of how characters’ parts should be read and acted out as we begin reading the play, but also how and why characters interact with each other. Previewing the themes in the play is a great way for students to see the relevance of Shakespeare's work to their own lives. To get my students thinking about the themes in the play, I do a “table talk” activity. Students are each armed with a marker and respond to questions on chart paper that I spread out around the classroom. These questions can later be used to spark class discussions and make great visuals to hang up in your classroom. Some possible questions are: Can love at first sight happen? What is love? How important is family? How important is loyalty? Why do people hate? What should be the punishment for murder? Can teenagers make good decisions? I specifically highlight the themes of love and hate by doing a close reading of the prologue. As the students read, I ask them to mark any words or phrases connected to love in red and mark any words or phrases connected to hate in black. We talk about which idea, if either, is more prevalent, and how that might play out in the story. I also ask them to circle any words connected to the number two so that they can begin to see the power of pairs. 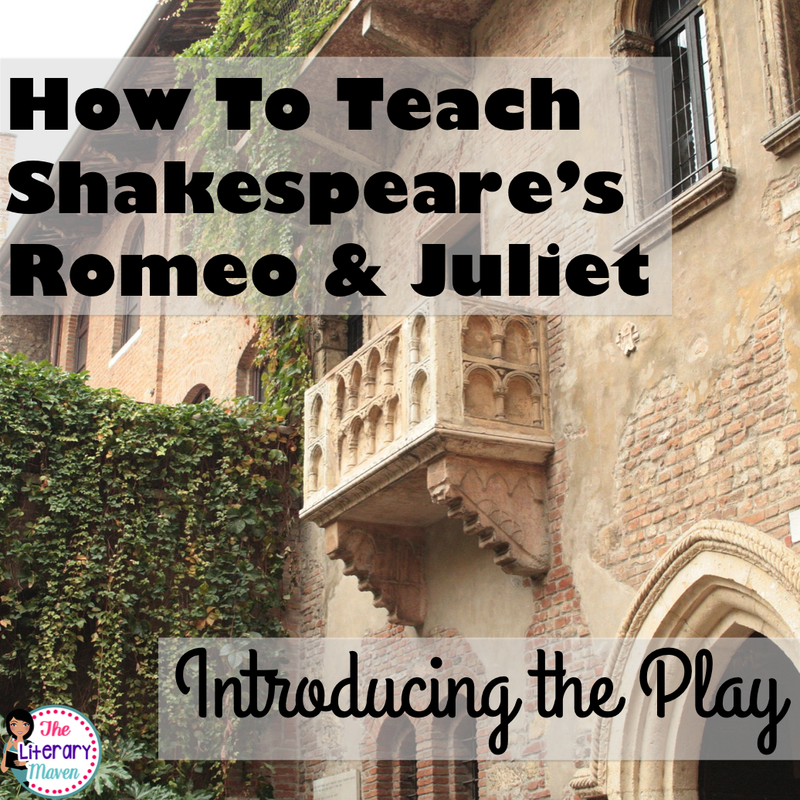 You can find all of my resources for teaching Romeo and Juliet, including the materials described above that I use to introduce the play, here. Read on for my approach to teaching Act I of Romeo and Juliet. I tried to go to your last link (teaching Act I of Romeo and Juliet), but I get the "Page Not Found" message. Thanks for letting me know Kathryn. All the links should be working now.